​and have listed some of their comments below. You can submit your comments using our simple review form. 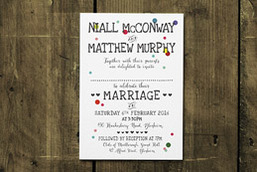 "Feel Good Invites printed all of our wedding stationary, from invitations to thank you cards and all the bits in between. The quality of their paper is superb and their extensive design choice made it so simple for us to choose the perfect style to match our wedding theme. Dealing with them has been a joy from start to finish, all emails and queries are responded to clearly, quickly and efficiently, this has made the whole process so easy. 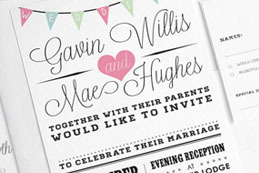 I would recommend Feel Good Invites to anyone looking for stationary for any occasion. I couldn't be happier with their service." "Thank you so so much Ger and the wonderful team at FeelGoodInvites. The whole experience was absolutely faultless and I could not recommend this company more. The quality of their products is magnificent and we have already received some lovely comments from our guests on the designs.Will highly recommend to anyone looking for beautiful designs and stationary. " "I just wanted to say a huge thank you to the team at Feel Good Invites, they have been incredibly supportive of all our wedding stationary from the initial save the date cards through to the thank you cards at the end of the event, including all the place names and table plans in the middle. The products are all of outstanding quality, with efficient and prompt responses to all our queries as well as deliveries of the products to our home. 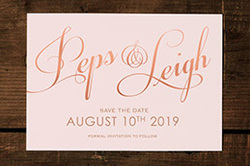 I was at a loss with various prints and formal wording and Feel Good Invites were extremely helpful in pointing me in the right direction for these aspects. Thank you so much for everything you have done and I would certainly recommend this company to anyone looking for stationary on their special day and beyond! 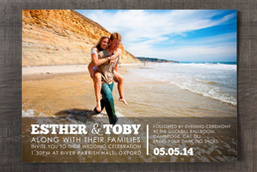 "Happy to highly recommend Feel Good Invites! The whole process was simple, enjoyable and highly professional as well as very good value. Ger and the team could not have been more informative and welcoming during the designing process alongside an incredibly charitable approach which meant so much to us. Not only patience and creativity was provided to us during the process to ensure things were just right. 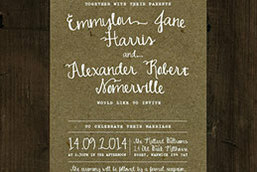 Everyone loved our invites and commented on how unusual they were as well as very good quality. 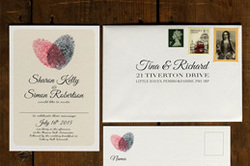 We have been so happy with our invites, we would like to order more stationary. Keep up the good work guys! 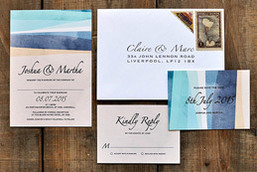 :)"
"I just wanted to say thanks so much for all your help with our Wedding invites, they arrived last week and our guests have received them in the post today. The feedback is great, they love them! I have shared your page on facebook as a few of our friends are getting married soon, finger crossed they will be in touch with you! 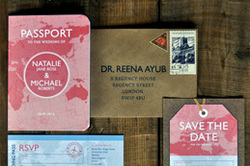 "Our save the date magnetic foiled cards arrived today and I cannot express how delighted we are with them. They are everything we could have hoped for. Ger - you have been amazing!! You have made the entire process a joy. We will wholeheartedly be recommending you to everyone we know. 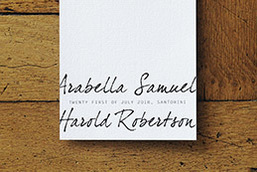 "Absolutely beautiful save the date cards ordered and the full White Calligraphy Kraft Effect Rustic Wedding Invitation Set to be ordered in time! Ger is everything you could want when ordering something for a wedding.. cost effective, can adapt and replys straight away! (something very very important, but often over looked). Would highly recommend this lovely little company to anyone:)"
"I cannot stress enough how happy we are with our wedding invitations. Ger was extremely responsive and quick to produce our designs. The product is clearly of very high quality and far superior to what I expected (I mean that in the nicest way!). 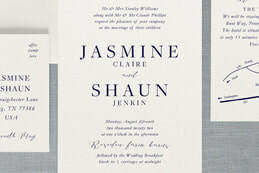 I would sincerely recommend Feel Good Invites and will definitely use their services again for our order of service etc. Many thanks!" 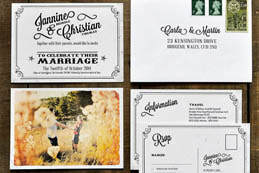 "Dear Amie, Ger,Just wanted to let you know that the invitations have arrived in time and we loved them. Thank you for the support in supplying them to us so fast! Thanks so much for the excellent service I'll be sure to recommend you. We wish you a great Christmas and an amazing new year! We will be in contact again in 2017 for the table plan. "Thank you so much for our lovely invitations. They arrived with perfectly timing while we were in the UK and were so pleased with them. Will definitely recommend you guys. "We've received the order - thanks so much for all your help with everything over the past few months - we will be recommending you highly to our friends who are engaged. We've been really pleased with the quality of everything and how friendly you are; nothing seemed too much trouble. Hope you have a lovely summer - I'm sure you'll be very busy." 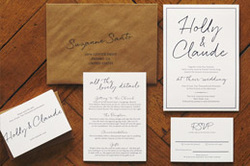 "We searched high and low for the style of invitation I was looking for and came across Feel Good Invites. Ger was a pleasure to deal with from start to finish and made the whole experience very personal. Their products are fabulous, stylish, great quality and don't break the bank! We received lots of compliments from our guests. We cannot recommend them highly enough." "Invitations arrived today and they look fantastic, simple, classy, no fuss, just what we wanted.Thank you so much for your help, guidance and co-operation. Hope your business grows from strength to strength. Take care, enjoy the sunshine." "Thank you ever so much...you've been brilliant!!! I will DEFO be recommending you!!! 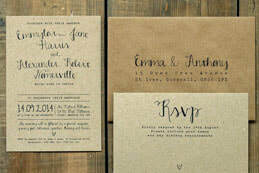 "I got my invites and they are BEAUTIFUL! They are exactly what I wanted and they are such good quality. Thank you so much for all your help and hardwork, you have been a dream to work with!" "Just wanted to say thank you for the save the dates. Really happy with them! ​Great customer service and experience - you will be highly recommended!" 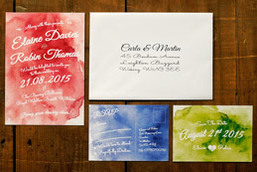 "We received the Save the Dates and we absolutely LOVE them! Thank you so so much! We will be in touch again for the invites, etc in due course. "Thank you Amie and Ger. I will happily recommend you to anyone I can. And I will let you know if I need anything further. You guys have been great!! " "Thanks heaps for your help again. 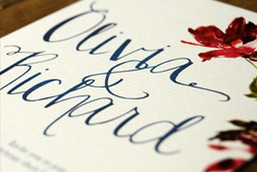 Everybody loved our invites and am very happy to work with you again. I've forwarded your website to a friend who has just got engaged. Highly recommended!!" "Dear Ger,We just wanted to say a massive thank you for the invitations that we received. 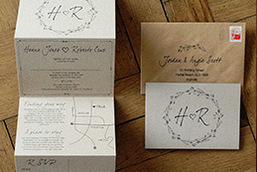 Everything was perfect and we have already started to send them to our guests, and they all love the invitations too. I will be in touch should we require any more invitations or other services from you. We hope that you and your family had a lovely festive season, and thank you again. 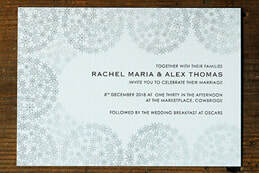 Very excited about seeing the invites - now we're in the new year, the count down to the big day begins!!! Thank You for being so patient through all of the amends. It's been lovely working with you guys, will definitely be recommending your company! ​I would like to say how delighted we are with our invitations! We have been quiet as we busy ourselves sending them off. They arrived on Monday. We are very pleased with the design, the quality of the cards, and how true they are to the online images! Many thanks! I'm sure we'll be in touch again. Merry Christmas and a Happy New Year 2016 to you! "We were quite easy-going about many aspects of our wedding, but one thing we did want was Penguin-themed stationery and you didn't disappoint! From how quickly you created the design to the extra mile you went to in using the original Penguin font, you made the whole process so easy. And we had so many compliments from our guests - it's great to see how many still have their thank you cards up :)"
"Thanks so much for everything. You've been fantastic and it's been really good fun all the way, choosing and designing the cards has been a lovely part of the whole experience. 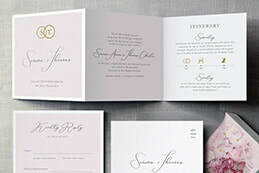 You offer such a personal and unique service, everyone has loved the invites and I'm sure they'll love the thank you cards too. If you want to use our cards for promotional reasons in future please do." "Hope this email finds you well, I'm sure you're busy with work! I just wanted to say thank you once again for our beautiful wedding stationery. Scott & I loved it and received so many compliments on all of our stationery!" "Hi Ger,Thank you again for all your help and huge amount of patience you have shown us over these last few weeks! I really couldn’t have asked for a better, more efficient or personal service. I know I have been pretty indecisive at times and probably very frustrating but your continued goodwill and patience was amazing. 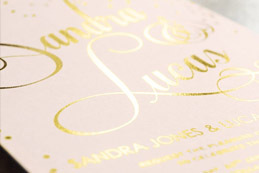 We adore our invites, they are beautiful. We will definitely be coming back to you for table plans, menus, place names etc, we wouldn’t trust anyone else… you have done such a good job. I will send anyone I know your way in future and guarantee they won’t be disappointed! Thanks again"
"Hi Ger,I've just received the save the date cards, I love them.thank you so much, I will send them out today! Now it's real ! "